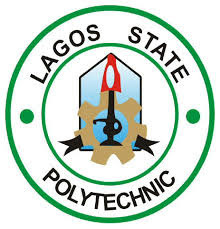 Authorities of the Lagos State Polytechnic (LASPOTECH) invite applications from suitably qualified candidates for admission into the Full-time and part-time Higher National Diploma programmes for the 2018/2019 Academic Session. LASPOTECH Courses – HND Part-Time. *NOTE: OTM (Office Technology Management) Programme may have some of their Lectures during the week (Evenings ONLY). LASPOTECH HND Admission – Entry Requirements. Candidates are required to satisfy SSCE/GCE/NECO/NABTEB entry requirements for the corresponding National Diploma programme. Please note further that all Management Courses (except Office Technology), Computer Science, Science Laboratory Technology (SLT) and Electrical/Electronics requires one sitting. Candidates are required to have completed a relevant National Diploma Programme not below LOWER CREDIT classification. All candidates are expected to consult the Institution’s prospectus on the portal or in hard copy to ascertain their qualification for courses for which they are applying. Candidates are required to have completed a relevant National Diploma Programme. How to Apply for LASPOTECH HND Admission. Click on the ‘”2018/2019 Admission Applications” link on the Navigatorplane. Select the programme i.e. “Full-Time HND / Part-Time HND”. Click on ”Pay”(you will make use of a Web enabled ATM card. Master or Verve card for your payment). Candidates are expected to make payment of the sum of seven thousand five hundred naira only (N7,500) only, exclusive of Bank charges. Fill the application fonn provided. Ensure that you provide accurate data at all times. In addition to your personal information, you will be required to provide your WAEC/GCE/NECO/NABTEB result as well as previous educational history. Candidates are expected to scan and upload their O’level and National Diploma results. Ensure you print out your Application form, and receipt of payment and keep them safely. Print your completed application form after submission. You will be required to present this at a later date, so keep it safely. Candidates are advised to ensure that they personally fill in correct information. The Polytechnic would not be liable for any erroneous information contained in the completed form. Each applicant is advised to provide correct and functional e-mail address and telephone number(s) when completing the application form. Candidates are to please NOTE that Admission is on First Come, first served basis. Date of Closure Part-Time: Sales and Submission of Application form closes by Sunday, August 20th, 2018.